When I was a child, I actually didn't mind going to the dentist (too much) because there was always a stack of Highlights Magazines in the waiting room... I loved the hidden pictures page. But that's only part of why I'm drawn to this brand new Animal Camouflage Search and Find activity book. 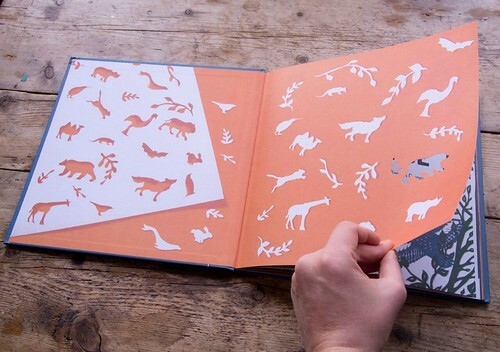 The other reason is because my friend in paper, Sarah Dennis, created the stunning papercut illustrations you'll find throughout the pages. The densely packed scenes practically hum with wildlife and provide a welcome challenge to even the most eagle-eyed kids (and adults). You're bound to discover something new with each reading. Here's a quick time lapse video that shows the cover scene as it springs to life under Sarah's practiced fingers. 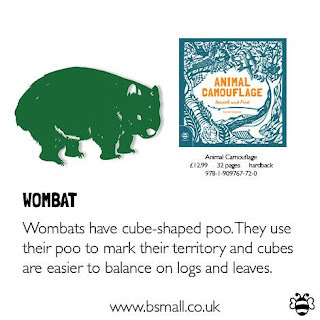 She worked closely with Sam Hutchinson of b small publishing, who authored the text's facts, prompts and questions. 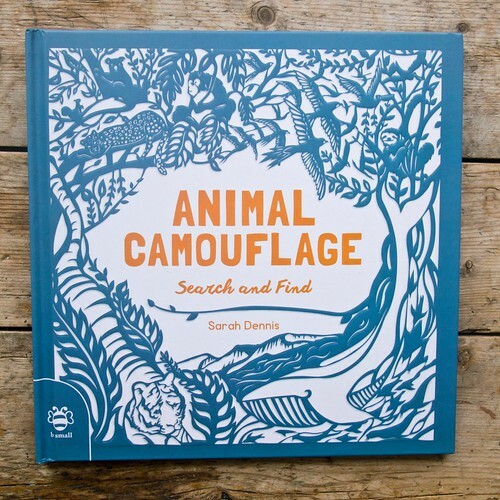 Keep in mind that the pages are images of Sarah's art work, not actual [laser] paper cuttings, aside from one bear-y cute cut out inside the front cover. 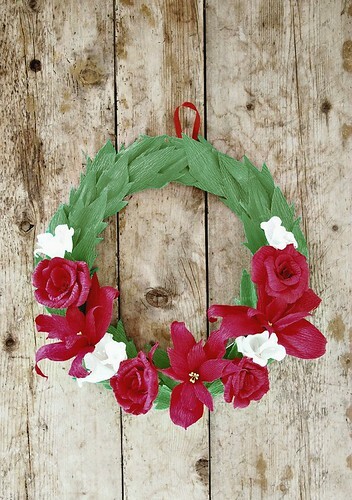 By the way, Sarah is also the artist who created the previously featured Cinderella: A Cut-Paper Book and she designed this pretty crepe paper holiday wreath tutorial. 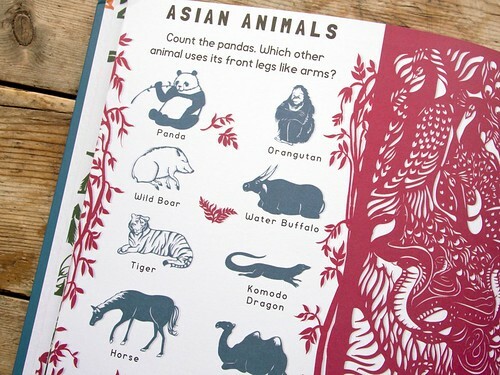 One more book mention for today... as an admirer of detail work, here's a shout out to another UK artist, Johanna Basford of Scotland and the lovely illustrations she creates. You might be familiar with her popular coloring books for adults. 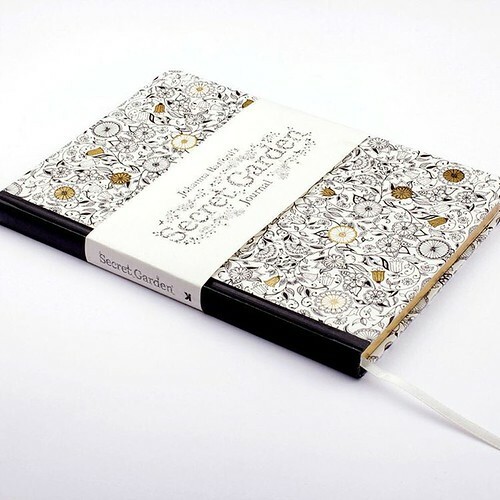 Secret Garden Journal releases on December 1. It features golden touches on the cover, gilded pages, and Sarah's tiny illustrations on blank pages for you to color while collecting your thoughts, perhaps with Micron pens to get into the teeny nooks and crannies. Oh and don't forget the Revel and Co. Holiday Gift Wrap Collection worldwide giveaway is on through Monday. It's a beauty and your odds of winning are soooooo much better than the lottery! I remember reading the Highlights magazines when I went to the dentist as a kid too. What an amazing looking book this is. Highlights is still around, Ann! I had to google that to find out... hadn't thought of it in ages - not until this book arrived. I hope you had a nice Thanksgiving. Really beautiful book. 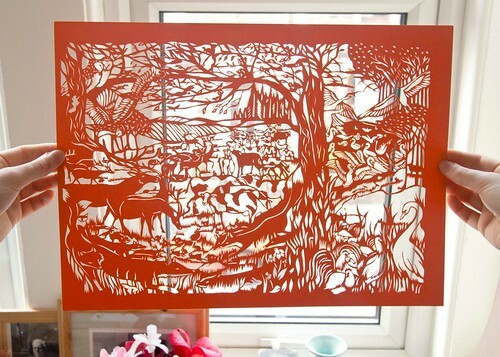 I'm so glad to see that paper craft is really taking off as an art medium. Just ordered the book for my 1st grade nephew. Oh that's nice, Bev! I hope he'll enjoy it.